In the first decades of the twentieth century, rural populations throughout Europe changed the language they used in everyday life, abandoning their traditional vernaculars—such as French patois, local Italian dialects, and the Irish language—in favor of major metropolitan languages such as French, Italian, and English. . 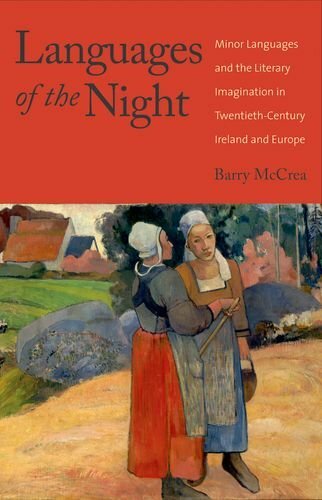 In this book, Barry McCrea argues that the sudden linguistic homogenization of the European countryside was a key impulse in the development of literary modernism. The decline of rural vernaculars caused these languages to become the objects of powerful longings and projections. Seán Ó Ríordáin in Ireland and Pier Paolo Pasolini in Italy reshaped minor languages for use as private idioms of poetry; the revivalist idealization of Irish as a lost utopian language deeply affected the work of James Joyce; the disappearing dialects of northern France seemed to Marcel Proust to offer an escape from time itself. Drawing on a broad range of linguistic and cultural examples to present a major reevaluation of the sources and meanings of European literary modernism, Barry McCrea shows how metropolitan literary culture was fundamentally shaped by the vanishing vernaculars of the European countryside.